Are you leaking sensitive information via email without realizing it? But without realizing it, inadvertently, we often leak such information all the time. What type of sensitive information are we talking about? External parties should not know about this type of information. In legal terms this is called Metadata. Fortunately, you don’t have to remove all this manually. Document Inspector feature allows you to remove this in few clicks. This feature is available since Office 2007. Run it and click the Inspect button. 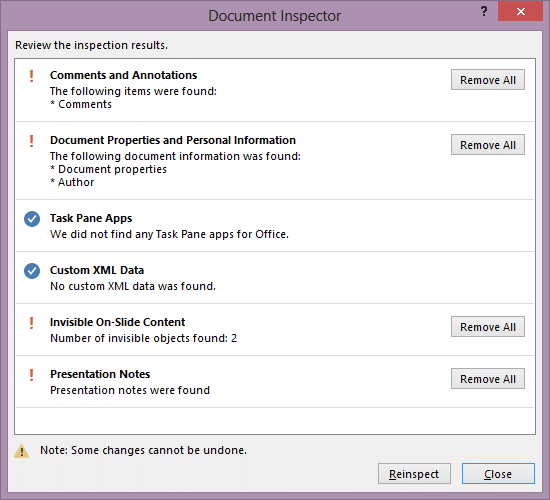 Here is how the PowerPoint document inspector checks for following issues. Now you just click the Remove All buttons and the job is done instantly. Amazing. Is it not? How to run document inspector? Microsoft realized that nobody knows about this feature. So in 2013, it runs Document Inspector automatically and shows the results below. In spite of this, most of us do not notice it! It also checks Accessibility Related issues automatically. Learn it first. Open Word, Excel, PowerPoint and Visio support this feature. Open the dialog in each and understand how it can help you. Legal professionals often use third party tools or do this work manually. Make sure you show them this feature and create a company policy to use it appropriately. Warning: Run on original or copy? This is an important decision. For example, you have created a presentation and it has notes for your own use. Now you want to send this presentation to a customer. In this case, you should make a copy of the original presentation, clean the copy and send it. If you run it on original one and save it, things cannot be undone and your effort will be wasted. Whenever you send a document which crosses your organizational boundary, Document Inspector must be run. Some organizations have their own rules for cleaning up unwanted or privacy related data. Therefore, Microsoft has created a software development kit (SDK) which allows you to customize the Document Inspector. For more details, read this MSDN section and this article in Word blog. If you have any queries regarding the customization, please let me know. Just reached Hanoi from HCMC. Sitting in another rooftop club. 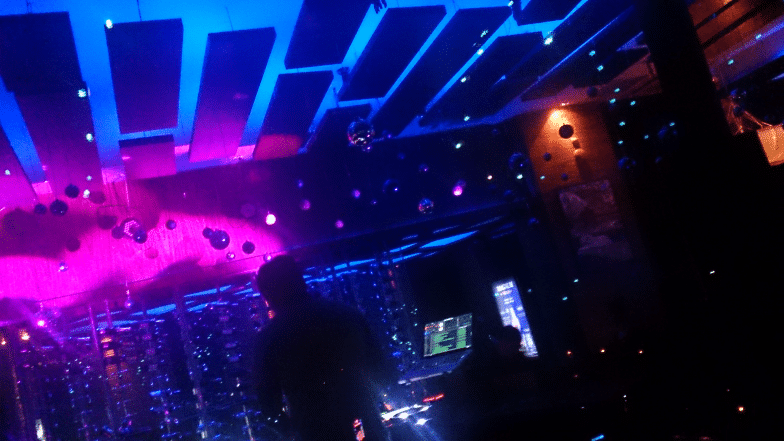 Amazing ambience and great music.